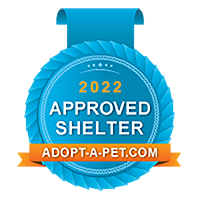 The Friends of Eden Animal Shelter was founded in 2014 and dedicated to saving stray and shelter animals in the City of Eden and Rockingham County, North Carolina. We are a 501(c)(3) non-profit organization and we would not exist without the compassion and dedication of ​volunteers and donors. We provide support for the abandoned, lost or stray animals that find themselves at the Rockingham County animal shelter. We will rescue from the shelter and using social media we network the animals for exposure to an owner seeking their lost pet, potential rescue organizations and adopters and to help raise money for the animal’s care. We are independent and network the animals to save lives. Hopefully our work will help reduce the number of animals that are euthanized each year.